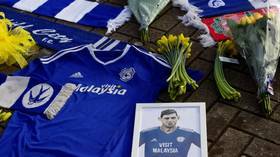 The football world has reacted with sadness after the search for newly-signed Cardiff City striker Emiliano Sala was called off on Thursday, although the missing player's family have pleaded for efforts to continue. The aircraft carrying Sala and pilot Dave Ibbotson was lost over the English Channel on Monday, not far from the Channel Islands. Despite the best efforts of the coastguard, who conducted a 1,700 square-mile search via sea and air in a three-day search, no trace of the aircraft, or the two men, was found. Harbour Master Captain David Barker issued a statement on Thursday explaining: "Despite the best efforts of air and search assets from the Channel Islands, UK and France, which has covered an area of approximately 1,700sq. miles - with a significant amount of this searched more than once - and having examined mobile phone data and satellite imagery, we have been unable to find any trace of the aircraft, the pilot or the passenger." Sala's new club Cardiff City posted the news on their official website, saying: "At this time of immeasurable sadness, our thoughts are with the family and friends of both men on board, the fans of both FC Nantes, Cardiff City, and their connections around the world." 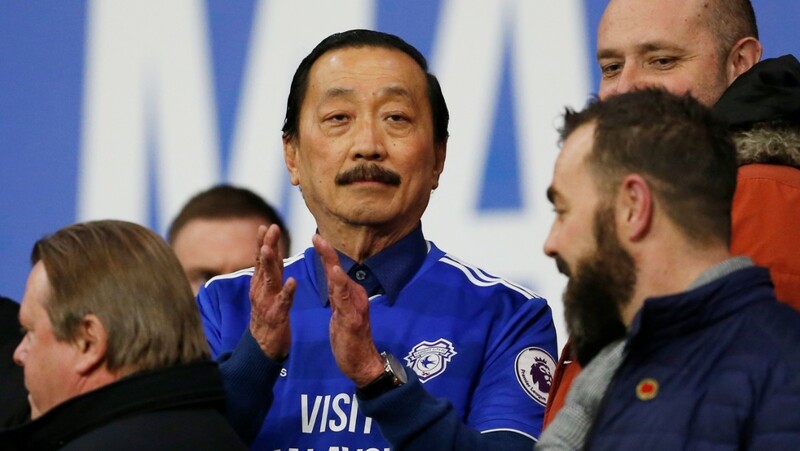 An official statement from Bluebirds owner Vincent Tan said: "Monday evening's news shook everyone at Cardiff City FC to the core. "We also thank everyone involved with the search and rescue operation, and continue to pray for Emiliano, David Ibbotsonand their families." Sala's former club, FC Nantes, replaced their Twitter profile picture with a photo of Sala, 28, and tweeted a video of the team and the fans sharing a moment of remembrance for their former striker, together with the message: "All together, united, in solidarity, for Emiliano." 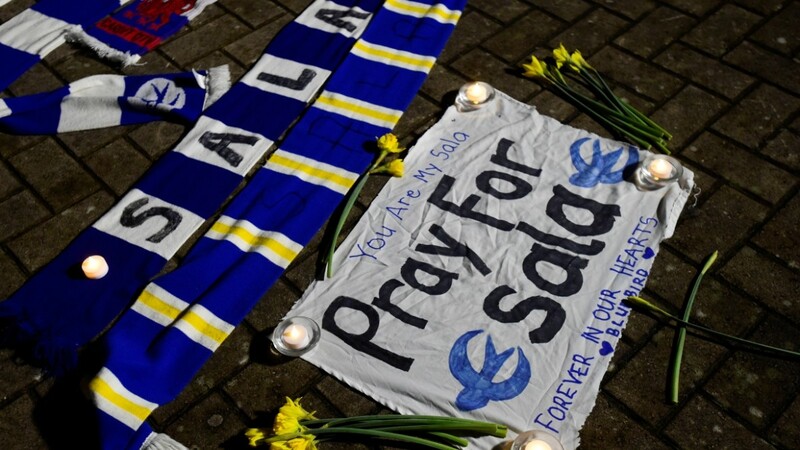 A host of Premier League clubs used their respective social media platforms to pay their respects and send their well-wishes to the friends and families of Sala and the pilot of the plane, Dave Ibbotson. The thoughts of everyone at Liverpool Football Club are with the families and friends of Emiliano Sala and David Ibbotson, and all at @FCNantes and @CardiffCityFC. Our thoughts go out to the family and friends of Emiliano Sala and pilot David Ibbotson, along with everyone at @FCNantes and @CardiffCityFC following today's tragic news. Our thoughts are with the families and friends of Emiliano Sala and David Ibbotson this evening, and all those affected by Monday’s tragic accident, in particular our friends at @FCNantes and @CardiffCityFC. Meanwhile, Sala's sister Romina, who had already made the trip to Cardiff, said: "Emiliano is a great fighter - I know he hasn’t given up and he is waiting for us. "We just want that the search continues. I know in my heart Emiliano is still alive somewhere in the Channel Islands." "At the moment, the only thing we want is the whereabouts of the two people. Questions of how Emiliano came about his fate are the matter of another moment. "The idea is to go to the search place to try to push forward this search, not to stop. The only thing I want is to see my brother, to find my brother. "My message is do not stop the search. I am grateful for everything that has been done, but I beg that they don't stop with the search, please."